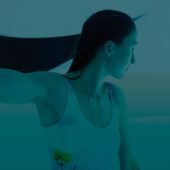 For hundreds of years, athletes at all levels of their sport have been soaking swollen, injured muscles in Epsom salt when in recovery, and here at The Float Space we utilise the very same concept where you float your entire being in a saturated solution of Epsom salt and water to rejuvenate and detoxify. Those tiny, little granules of Epsom salt are mineral compounds of magnesium and sulphate, which are readily absorbed through the skin and taken into the bloodstream, and there are some very good reasons why and how floating can help restore these all important nutrients. Magnesium plays a vital role in the human body, regulating more than 300 biological functions, reducing inflammation, helping muscle and nerve function, and assisting in the prevention of artery hardening. Yet one of the most common nutrient deficiencies in the Australian population is magnesium, with up to 75 per cent lacking it in their diets. So why not get it from food? Unfortunately, the agricultural industry has depleted our soil of its nutrients, yet it’s still used to grow vegetables and fruit – with synthetic fertilisers. The result is food that is poor in nutrients and minerals. Add to that junk and processed foods, as well as your daily coffee, and there’s your magnesium deficiency. But this essential mineral, which also aids in the prevention of cardiovascular disease and supports healthy sleep, can be restored by taking time out of your day and having some float therapy in a bath full of Epsom salts. With the ability for it to be absorbed through the skin, there’s no easier way to reverse a magnesium deficiency. Stress severely drains the body of magnesium, and when it becomes a constant mental, emotional or physical stress, our health suffers. Going through a stressful time without sufficient magnesium can set up a deficiency that could potentially end up lingering and causing more health problems. Because floating helps to absorb magnesium through the skin and replenish levels, the mood-elevating brain chemical serotonin creates a feeling of calm and relaxation. Magnesium ions help reduce irritability by lowering the effects of adrenaline so you’ll find there is improved sleep and concentration as well as better functioning of muscles and nerves. Sure, supplements can be taken to help restore magnesium levels, but they’re not easily digested in the gut due to internal acids, and each person’s reaction to supplements varies. The heat, in combination with Epsom salts generated from the floating experience, allows the skin to perspire, which removes toxins through the pores and allows the minerals in through those very same pores. With the temperature turned up in a floating bath, circulation of the blood reduces swelling, inflammation, and fights joint pain; working together with the Epsom salt, magnesium and heat are a partnership of marriage and make floating the perfect therapy to get your body back to its healthy self again. Floating is a reinvigorating therapy that can help balance the body’s natural minerals and the more floating you do, the stronger you become both physically, mentally and emotionally.